Giclée printing is the very best way to capture the detail, dedication and expression that goes into each original fine art creation. Can’t wait to see your prints? We only use the very best papers, inks and processes to create archival-quality prints. At Indigo Giclée, we use the top brand papers , the finest inks and the very latest printers and processes to create exact reproductions of your original artwork and photography. 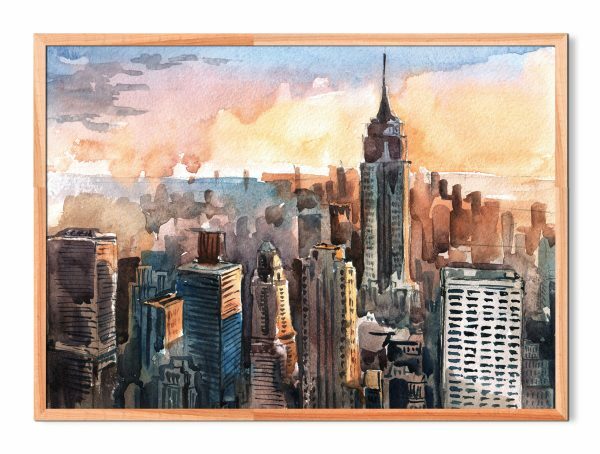 Our stunning giclée prints match every colour, tone, detail and brushstroke. By spraying microscopic dots of rich pigment onto archival-standard paper, our giclée process produces the truest reflection of your original art. Our professional printing techniques provide fade resistant, museum-quality results. Each item is hand-checked by our fine art specialists. With over 23 years of print experience, we ensure a perfect print every time. With our simple online ordering system, you can upload images, select your paper and size and get your print in production in a matter of minutes. Order before midday for next day delivery or pop in to pick up your prints the same day. 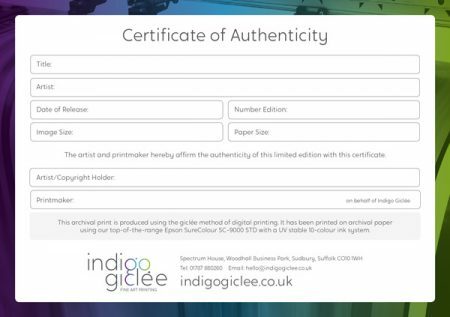 Give your buyer complete confidence with an Indigo Giclée Certificate of Authenticity. 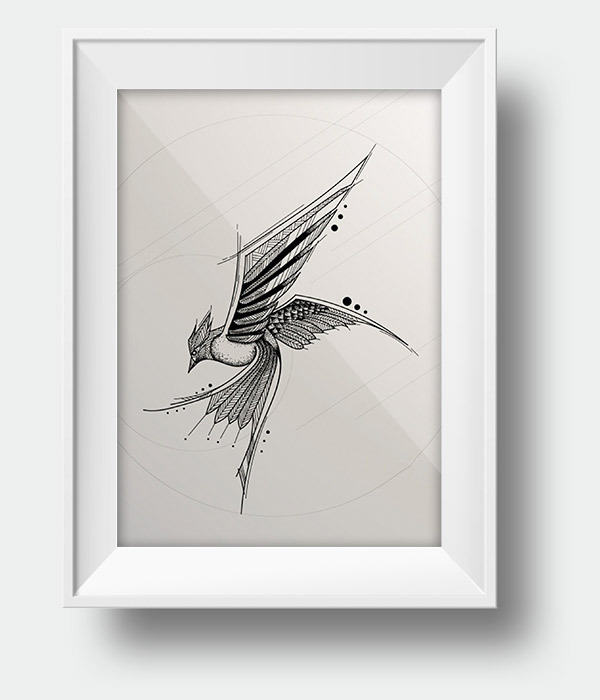 Perfect for limited editions, buyers are provided with key information about the print. The certificate acts as proof of the quality of the printing process and the genuine status of the artwork. All certificates are signed by our master printer with a section for the artist’s own signature.